Hello friends!!! Who needs a transitional palette cleanser? 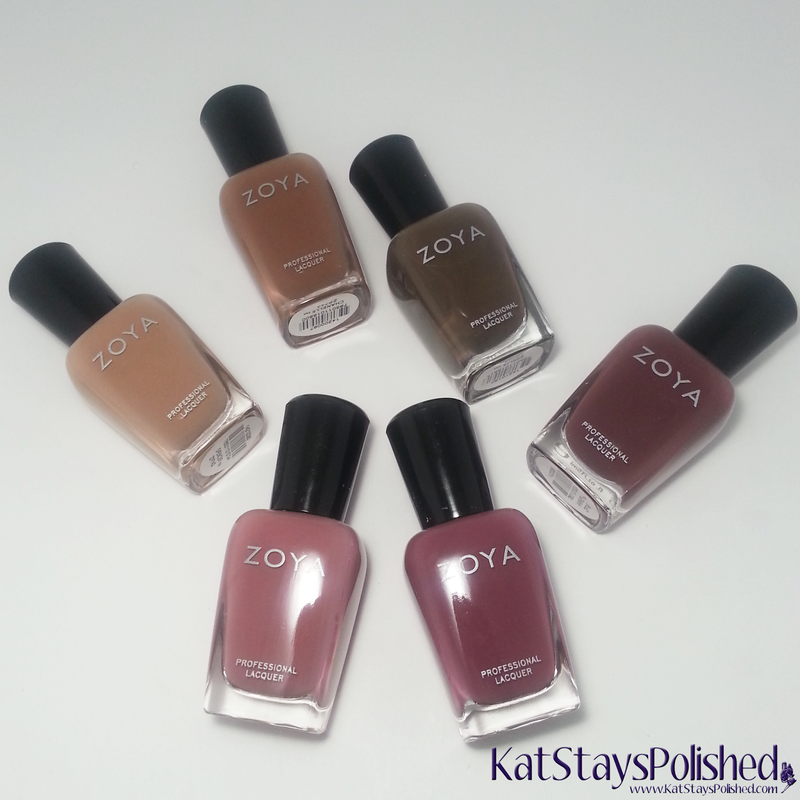 If you do, Zoya has you covered with this gorgeous Naturel Deux collection. If you loved the first Naturel collection, these slightly darker, but still neutral, shades will capture your heart too! All swatches are 2 coats and a layer of top coat. Spencer is a creamy camel shade that just applies beautifully. 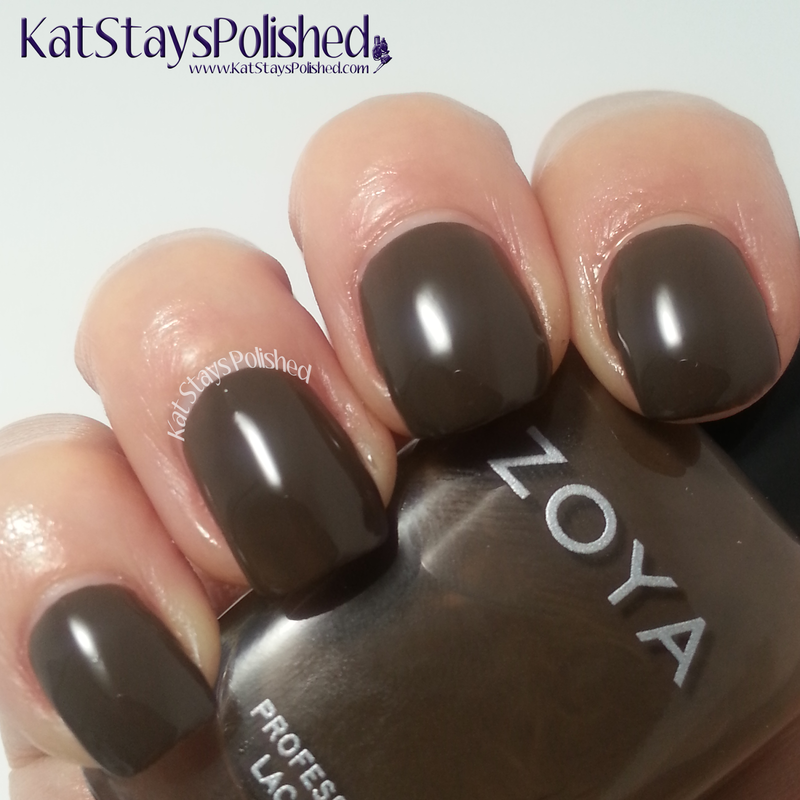 I am always impressed with Zoya's cream polishes. They never disappoint me. All of these shades will look so different on every skin tone. I thought this would appear lighter than it does but I like it. Chanelle is described as a toasted almond cream. I can totally see that but it looks more like coffee to me. It almost looks like the filling to a chocolate cream pie. Always food with me. Again, the formula is fantastic, dry time is great, and of course, color payoff is fantastic! Emilia is that deep, dark chocolate shade you need to add to your collection. These shades are perfect from transitioning from all these bright summer shades and will take you far into the Fall season. Madeline is described as a muted rose cream. I think that's a pretty good description of how it appears on my nails. I do love shades like this because of how neutral they are. 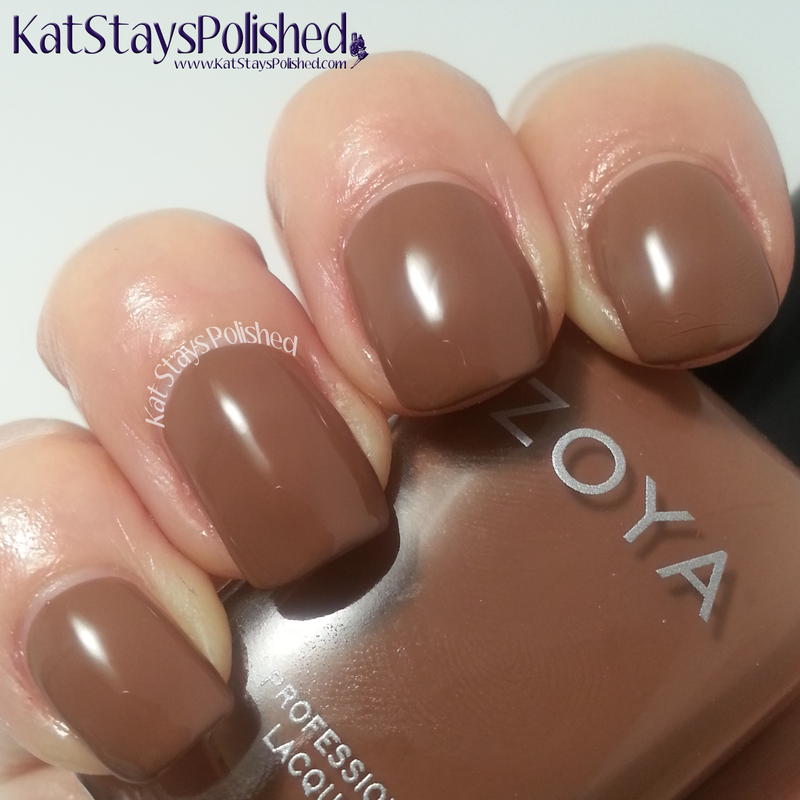 I still can't get over how much I love Zoya cream polishes! AH, in love! Aubrey is a medium mauve cream polish. It's almost cranberry-ish but not quite. I really dig this shade and, again, if you're looking for great neutral shades to wear, this is another one at the top of my list. Marnie is a deep warm plum cream. This shade really gets me in the mood for fall. I was in a store the other day and already there were pumpkin themed things and everything for Fall. YES, need ALL the Fall things! What do you think of their second Naturel collection? These shades are available now at $9 a piece or you can get the 6-piece sampler set for $54. This is a nice collection of neutral everyday colors. Man, I want fall to come asap now.